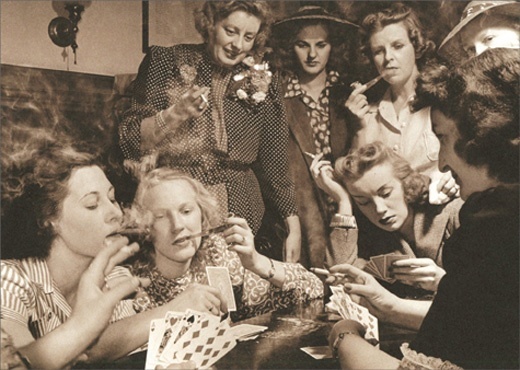 Women only poker nights have become all the rage in which new business relationships are made and friendships effortlessly forged. In a business world that is all too often dominated by male counterparts, these special evenings allow for private networking and informal discussions of common issues. Often the tournaments are simply for fun or bragging rights, while others have been used to raise money for favorite charities or connecting top business talent with non-profits for pro bono work. For men, a good deal of business has been conducted in social situations – the golf course, private clubs and even poker nights. Now women are inviting colleagues at the top of their field to network and help each other over this fun-filled form of entertainment. While the ins and outs of Texas Hold-em Poker may not be as familiar to all, companies like Philly Casino Parties offer lessons and “teach-ins”, so all the players may start off on an equal footing. More importantly, during these sessions, meaningful connections are instantly established. Intellectual salons have been nothing new. Women’s only networking events have also been commonplace since the late 1990’s. However, these specialize poker evenings, managed by Philly Casino Parties, offer a way to get the right people together for an intimate, competitive, friendly and unencumbered by agenda evening. Contacts are made, laughter abounds, a new business mindset is developed and connections are renewed.